Allows you to restrict bookings to only logged in users. 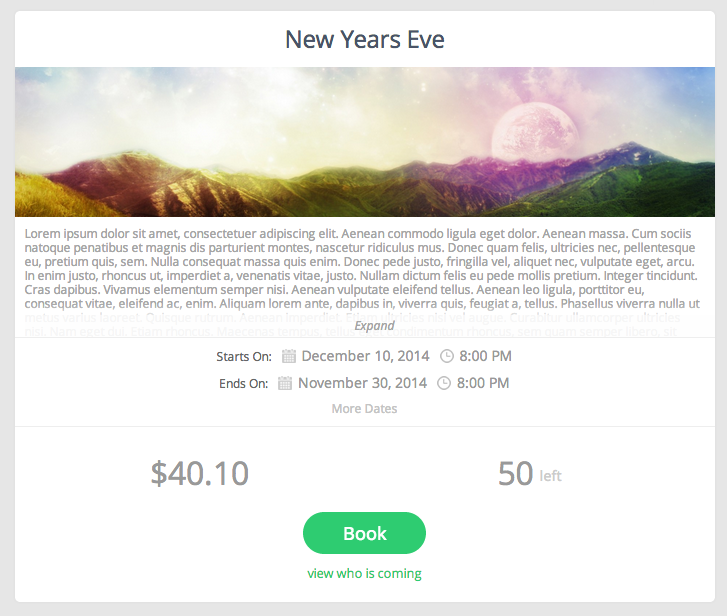 You can also allow guests (non-logged) users to book. It will detect if a user is logged in and auto-fill the ‘Name’ and ‘Email’ fields. You can also prevent the user from changing them. 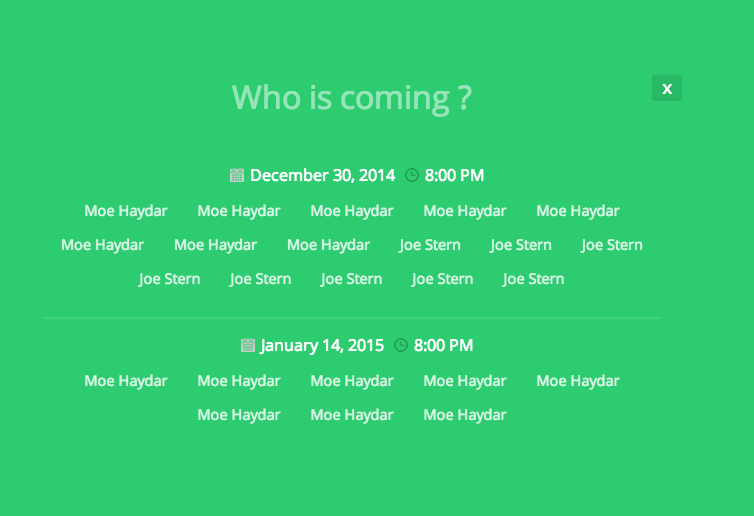 Show who is coming to the event. All features are toggleable and can be easily customized! Available upon request via email.